Nigeria. Mr. Obaze is married to Dr. Ofunne Omo Obaze and they are blessed with children. Mr. Oseloka Henry Obaze attended the elite Catholic legacy school, Christ the King College, Onitsha (1967-1973; his education was briefly interrupted by the Nigerian civil war, from 1967-1970). He also attended the equally prestigious Dennis Memorial Grammar School, Onitsha (1973-1974). He studied Political Science and International Relations and holds a Master of Arts in Political Science (M.A.) from the University of Nebraska, Lincoln, NE (1980); and a Bachelor of Science in Political Science (B.S.) from Nebraska Wesleyan University, Lincoln, NE (1979). He also holds a Certificate in Diplomacy from the Nigerian Foreign Service Academy, Lagos, Nigeria (1983); Certificate in Peacekeeping and Preventive Diplomacy, from the UNITAR/International Peace Academy Course, Burg Schlaining, Austria (1996); Certificate in Early Warning and Preventive Measures, from the UN System Staff College, Turin, Italy (1999); and a Certificate in Facilitation of Dialogue Processes and Mediation Efforts, from the Folke Bennadotte Academy, Sandon, Sweden (2007). He is an astute visionary Leader, a technocrat, good governance and policy expert and a tested public administrator of high integrity, focus, humility and diligence. It will be recalled that in 2013, he was the leading aspirant on the All Progressive Grand Alliance (APGA) platform to succeed Gov. Peter Obi, until he was disqualified on a voter’s card technicality. 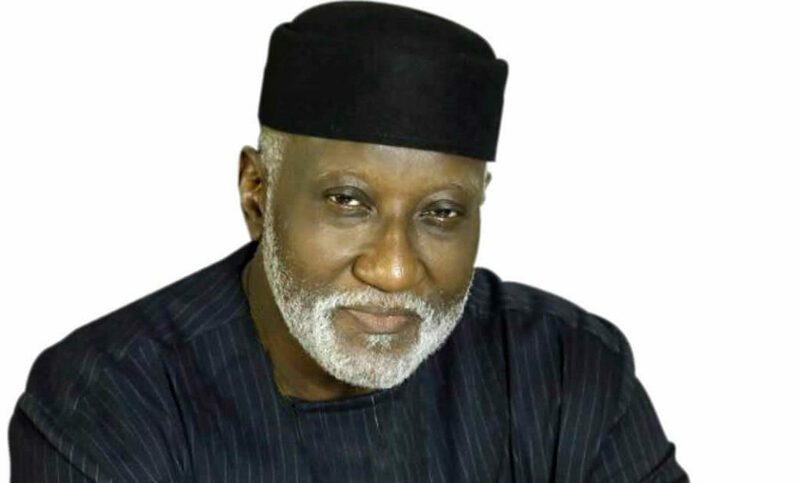 Since leaving office on 8 June 2015 as the 9th Secretary to the Anambra State Government (SSG), Obaze has been Managing Director and Chief Executive Officer of Selonnes Consult Ltd. a management and strategic policy advisory entity and OHO & Associates, a good governance advocacy outfit. He has written widely on policy challenges confronting Nigeria and made various policy recommendations which were adopted by the Federal and State governments. It is worthy to note that Mr. Oseloka Henry Obaze is a writer, poet, a seasoned diplomat and Strategic policy analyst, Obaze has most recently authored two books, “Regarscent Past: A Collection of Poems” (2015), Here To Serve (2016); and a forthcoming book, Prime Witness: Change and Policy Challenges In Buhari’s Nigeria (2017). As a member of the Nigerian Diplomatic Service (1982-1991), Mr. Obaze served under three presidents (President Shagari, General Buhari and President Babangida) before transiting to the United Nations. As Secretary to the Anambra State Government, Obaze served on the State Executive and Security Councils and was responsible for the coordination and coherence of government’s policies. He was the Chair of the Board of Trustees of the Anambra State Flood Disaster Emergency Fund, and Chair of the Anambra State Flood Disaster Relief Coordination Committee and Member of the Anambra State Emergency Management agency (SEMA); in these capacities, he coordinated the State’s emergency response during the 2012 flood disaster. He was a Delegate to the South East Zonal Review of the 1999 Constitution held in Enugu on 15-16 November 2012; Delegate to the Southern Leaders’ Summit Meeting, 24 February, 2014 Calabar, Cross River State, Chairman, Anambra State Government Handover Committee, February-March 2014 and member of the Anambra State Economic Think-Tank. Mr. Oseloka Henry Obaze has distinguished himself in all aspects of life. He is the co-author of Joe Garba’s Legacy, (Xlibris, 2012) and the author of four books, “Regarscent Past: A Collection of Poems” (Ben Bosah Books, 2015), Here To Serve, (Ben Bosah Books, (2016); and Prime Witness (2017). He has published numerous articles on governance, public policy, political, social, and development issues, on journals, websites and newspapers. The manuscript for his collection of poems, “Regarscent Past: A Collection “of Poems” placed second in the poetry category in the African Writers Endowment Publishing Grant Program for 2004. He also contributed a tribute paper titled, “Achebe, Ike, Momah (AIM): Celebrating the Umuahia Literary Trio”, in Chukwuemeka Ike: Fifty Years as a Trailblazing Novelist, (Ed.) Kanchana Ugbabe (2015). He also contributed a chapter titled, “Rethinking Nigeria’s Foreign Policy on The Eve of the 21st Century” in Nigeria: Visions of the Future, (Ed.) Ngozi A. Nwaneri, (1998) and has collaborated or made research contributions to several published books, including Ibrahim Gambari’s Political and Comparative Dimensions of Regional Integration: The Case of ECOWAS (1991); Joseph N. Garba’s The Honour To Serve: Reflections on Nigeria Presidency of the 44th UN General Assembly (1993) and Fractured History: Elite Shifts and Policy Changes In Nigeria (1995). He is a co-founder of the Kwenu.com Book Review Forum, which is dedicated to the promotion of books with Igbo & Afrocentric themes. He has published Literary Book Reviews since 2002. He has published Literary Book Reviews since 2002. Christ the King College Onitsha Alumni Association in America Exceptional Service Award (2001). Mr. Obaze belongs to several professional and civic organizations. He is a member of the Nigerian Institute of International Affairs, Food Pantry Volunteer, St. James Catholic Church, Woodbridge, NJ (1995-2012); Member and eventually, Chairman of the Board of Trustees, Songhai Charities, Inc. of New Jersey (1997-2005); and National Secretary, Christ the King College Onitsha, Alumni Association In America, Inc. (1998 to 2012). He is a patron of the Ochuche Umuodu Town Union (OTU). A widely traveled man, an avid sportsman and soccer enthusiast; he reviews books and arts as a hobby, Mr. Oseloka Henry Obaze is definitely a Politician to watch out for in Nigeria as a whole and Anambra as a State.